Heartbeat is located on Russell Blvd. which is the street behind Nacogdoches Medical Center Hospital, 621 Russell Blvd Nacogdoches, TX. 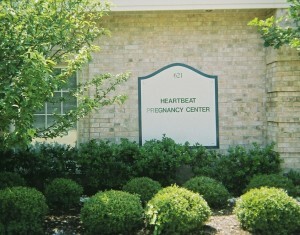 Our name, Heartbeat Pregnancy Center, is printed on the building sign. Parking is convenient to the building.